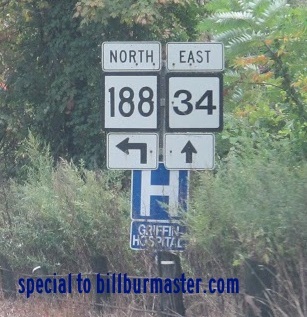 Connecticut State Route 188 is a north-south highway in West-Central New Haven County. It runs from near Stevenson, to near Waterbury. CT St Rt 188 passes through the following towns in New Haven County. CT St Rt 188 is multi-plexed in New Haven County. 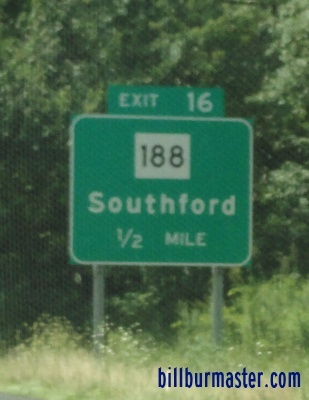 Connecticut State Route 67, near Southford. Connecticut State Route 64, near Middlebury. 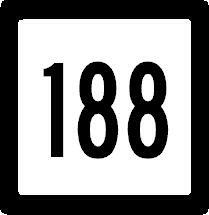 CT St Rt 188 crosses the following highways in New Haven County. Connecticut State Route 34, near Stevenson. Connecticut State Route 334, near Southford. Connecticut State Route 63, near Waterbury.